How to make shiny edible flowers without the use of lustre spray or confectioners glaze. Edible flowers look beautiful when they are made, however, if you wish to add a sheen finish to them then you could try one of the following tips. You can either lightly steam the flowers by wafting them back and forth through the steam of your kettle when it boils. (Please do not hold them directly over the steam otherwise they will melt, and you will burn your hand). Or for those of you who are the ultimate professionals indulge in a handheld steamer. 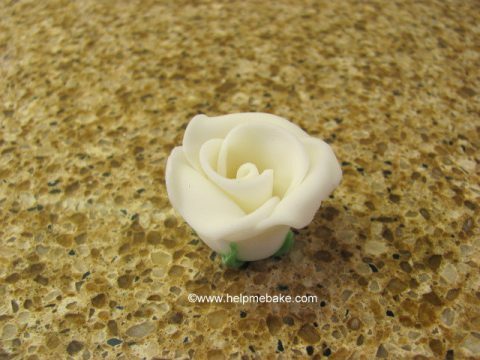 The steam reacts with the icing/fondant causing the sugars to rise to the top, giving you a beautiful shiny finish.